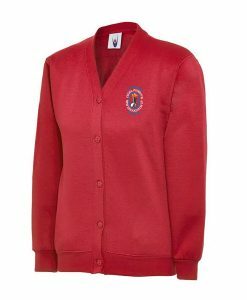 Ysgol Penrhyn waterproof reversible jacket, fleece lined with 100% waterproof outer. 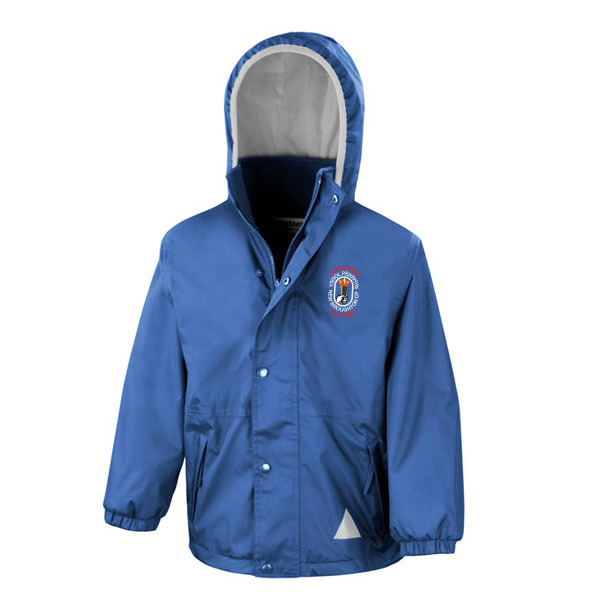 Waterproof, windproof, reversible. *Please note, there is VAT included on the Youth sizes, XL and XXL. The childrens sizes are non vatable. 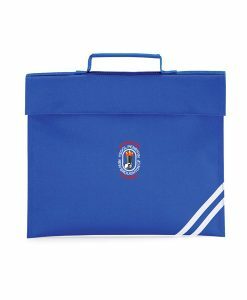 Ysgol Penrhyn classic book bag with reflective stripes. Featuring a velcro hold down flap. Fabric, 600D Polyester. Pupils name tag insert on rear of bag. 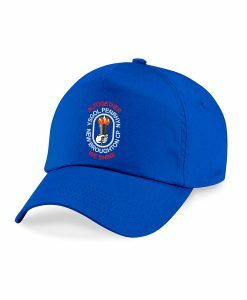 Ysgol Penrhyn 5 panel cap in Royal Blue. 100% Cotton twill with velcro size adjuster. 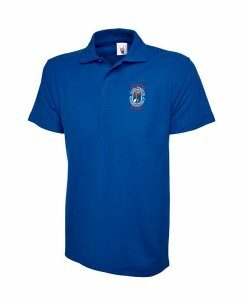 Ysgol Penrhyn polo shirt in royal blue. Enzyme washed for extra soft hand feel and reduced shrinkage. 50% Polyester, 50% Cotton blend. 300gsm. 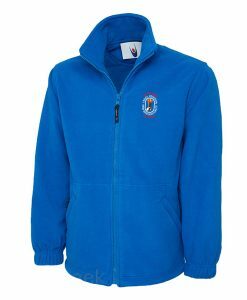 Ysgol Penrhyn polo shirt in royal blue. Enzyme washed for extra soft hand feel and reduced shrinkage. 50% Polyester, 50% Cotton blend. 300gsm. 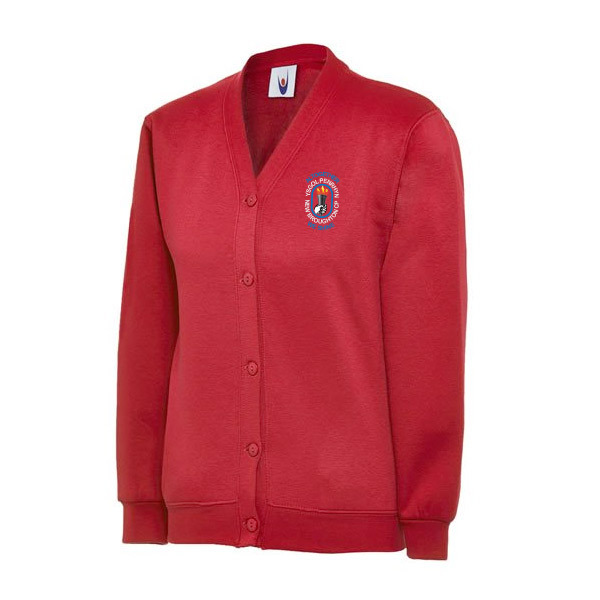 5 button cardigan, lycra ribbed cuffs, welt and neck. 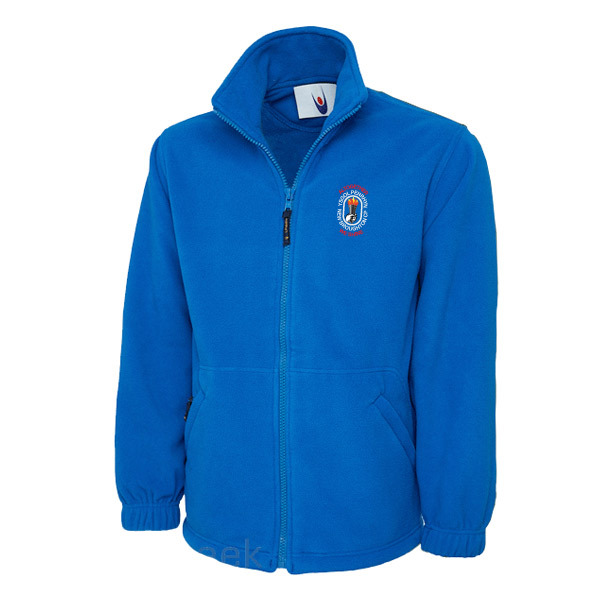 Ysgol Penrhyn fleece jacket in royal blue. Enzyme washed for extra soft hand feel and reduced shrinkage. 50% Polyester, 50% Cotton blend. 300gsm. 5 button cardigan, lycra ribbed cuffs, welt and neck. 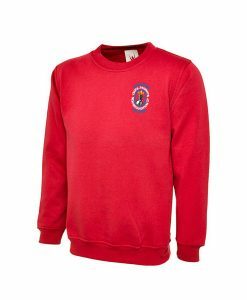 Ysgol Penrhyn round neck sweatshirt in red. Enzyme washed for extra soft hand feel and reduced shrinkage. 50% Polyester, 50% Cotton blend. 300gsm.